Whenever we sit down to read, we need to find a way to mark the page. Sometimes all that entails is folding down a corner of the page. Other times, it’s a novelty bookmark reflecting one of our favorite fandoms, or in some cases, our favorite business. 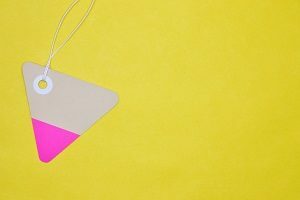 If your business is launching a new online store, then you can use custom-printed bookmarks to help advertise it. Here’s how. First things first, you’ve got to create a set of custom-printed bookmarks to market your business and its new online store. Make each bookmark special, and have them come together to create something even more intriguing once the full set is assembled. Give your customers clues that entice them and engage them, which will persuade them to learn more. Once you’ve got your bookmarks, spread them out. Partner with different vendors during your marketing campaign. Depending on what industry you’re in, this could mean distributing them at malls, grocery stores, schools (imagine all the attention you’d get at book fairs! ), and even churches. Put bookmarks by the checkout registers as freebies that can grab the attention of customers as they’re about to leave the store. Next, figure out a way to connect your bookmarks with your new website. This website can be for your main website, but it should also link to your online store’s site as well. You can do this by adding a QR code that customers can scan with their smartphones, or add information about your social media profiles to help drive up the visibility of your new site. Engage your customers and build up new customers and returning customers alike. Here is where you can get creative. Give your customers a reason to want to keep their bookmarks instead of discarding them. For instance, if your company prints board games and card games, then you could put a mini-game on the bookmarks, or include music and movie trivia if your website sells those forms of media. You can also attach coupons or special offers to your new bookmarks, which will also give your customers a reason to keep their bookmarks, and then get a new one after they’ve used their last one. Whether you know already how your custom bookmarks should look or you want further advice, Time Printers is here to help. We service all of Baltimore, Hunt Valley, and Towson. Our team of professionals can tackle all of your questions. Give us a call at 410-566-3005 and be sure to follow us on Facebook, Twitter, Google+, Pinterest, and LinkedIn for tips and to see what we have been working on and what we can do for you. This entry was posted on Friday, October 26th, 2018 at 9:59 am	and is filed under Bookmarks. You can follow any responses to this entry through the RSS 2.0 feed. Both comments and pings are currently closed.